Do you admire Lord Buddha and try to preserve Him in various forms? If so then this T-Light candle stand is something which will benefit Read More..your desire for sure. 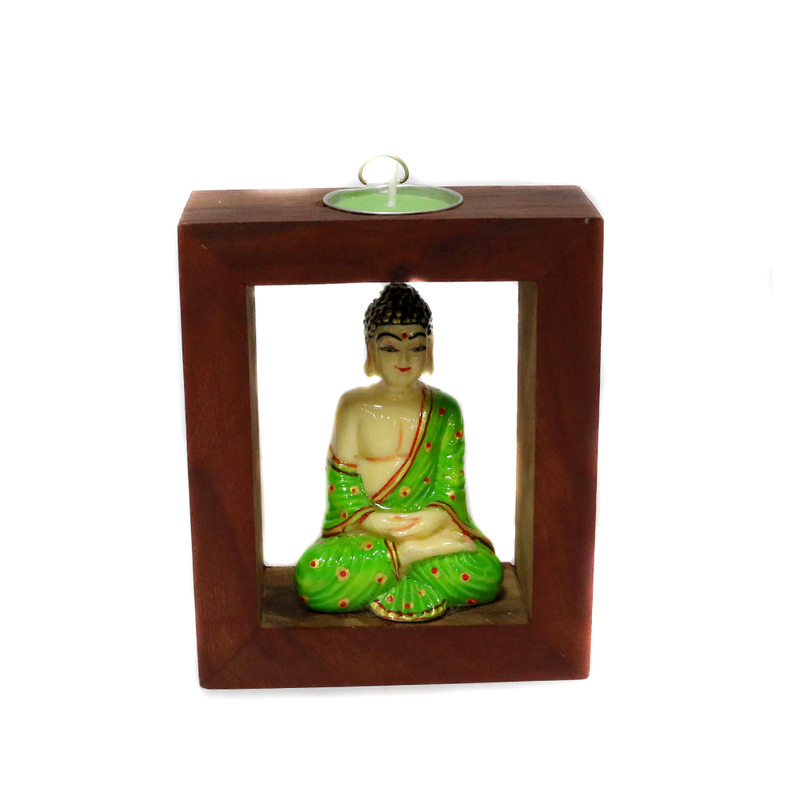 The candle stand is a rectangular wooden frame with the idol of seated Lord Buddha in the middle. Lord Buddha is depicted here as meditating. Show Less..